NORTH BAY, Ont. 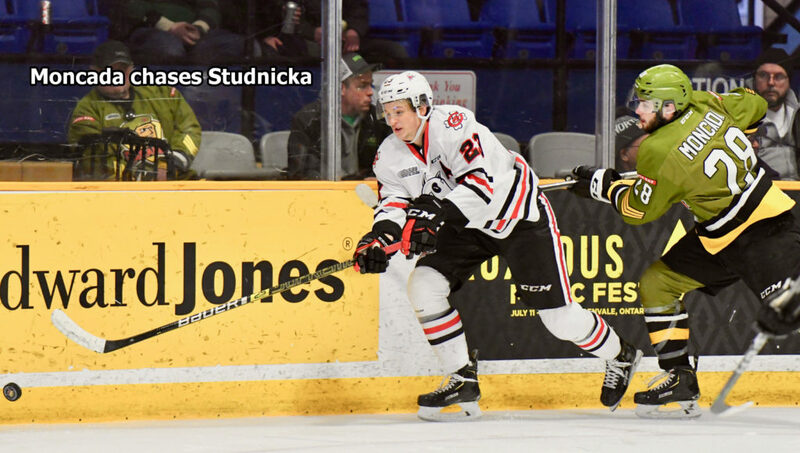 — Bradey Johnson scored two goals to help the Niagara IceDogs to an 8-3 victory Sunday over the North Bay Battalion in the Ontario Hockey League regular-season finale for both teams, who will meet again in the first playoff round. 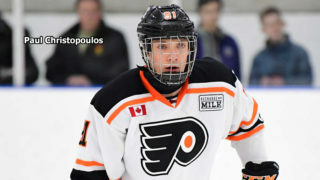 Jason Robertson scored one goal and assisted on two, Philip Tomasino and Akil Thomas each had one goal and one assist and Ben Jones, Ivan Lodnia and Elijah Roberts also scored for Niagara, which won a sixth straight game for a won-lost-extended record of 44-17-7 for 95 points, first in the Central Division and second in the Eastern Conference. Goaltender Stephen Dhillon made 34 saves. 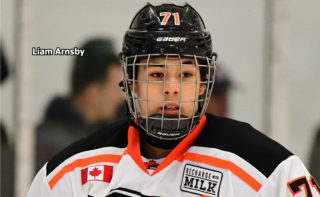 Brad Chenier and Justin Brazeau each had one goal and two assists and Matthew Struthers provided one goal and one assist for North Bay, 30-33-5 for 65 points, fourth in the division and seventh in the conference. Goaltender Christian Purboo faced 40 shots before 2,431 at Memorial Gardens. 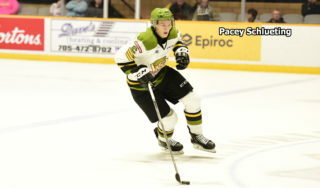 Brazeau, second to Robertson in OHL scoring, finished with a league-leading 61 goals and 52 assists for 113 points, the second-highest total in Battalion history after Wojtek Wolski’s 128 points in 2005-06 for Brampton. 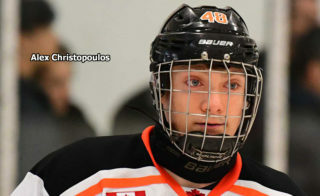 Robertson had 48 goals and 69 assists for 117 points. In 268 career games, Brazeau had 128 goals and 110 assists for 238 points, third in franchise annals to Wolski and Cody Hodgson. Brazeau finished second in Battalion history in goals, two behind Wolski, and tied Brett McKenzie for seventh place in assists. 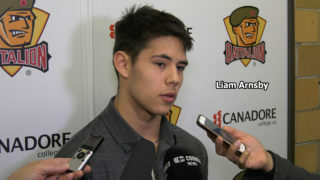 Brazeau ended the schedule on a six-game points streak in which he had eight goals and seven assists for 15 points. The teams will meet in a best-of-seven conference quarterfinal starting at St. Catharines at 7 p.m. Thursday. The game marked the fourth time in franchise history that the Battalion ended the regular season against its first-round playoff opponent. Niagara outshot North Bay 16-10 in the first period in building a 5-1 lead, sparked by Jones finishing a two-on-one rush with Thomas at 4:08. Lodnia stepped into a loose puck above the left-wing circle and hammered it past Purboo’s glove at 9:07 on assists by Jack Studnicka and Robertson, and Tomasino broke in alone on the goaltender off a turnover to cash a forehand deke at 10:31. Chenier replied at 14:59 with Dhillon down in the crease after a stop on a Nick King drive from the blue line. Chenier tipped a Braden Henderson shot from the left point. Brazeau also assisted on Chenier’s 30th goal of the season. Johnson made it 4-1 at 17:01, beating Purboo high to the glove side from the slot. Johnson then capitalized on a breakaway at 19:10, fending off Cameron Peters and Simon Rose before slipping the puck between Purboo’s legs. Brazeau countered at 7:03 of the second period, finishing off a three-way passing play with Chenier and Struthers by steering the puck past Dhillon from the lip of the crease. The teams were skating four-on-four when Robertson scored from the right circle at 14:52 to make it 6-2 off a two-on-one rush. It was Robertson’s 48th goal on the season and 25th since a trade from the Kingston Frontenacs. Niagara struck for two goals 35 seconds apart early in the third period. 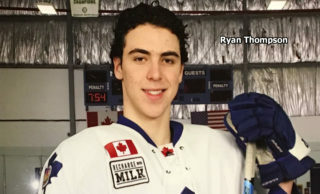 Thomas clicked on the power play at 1:08, chipping home his 38th goal on a cross-ice pass from Robertson from the left post, and Roberts then slipped to the mid slot to put a wrister past Purboo. Struthers scored his 31st goal with the man advantage at 13:52 when he swept a feed from Chenier past Dhillon from the right circle. BATTALION BULLETS: Battalion overagers Brazeau, Luke Burghardt and Theo Calvas were presented with portraits by artist Jack Lockhart. Billets also were recognized on Enercare Fan Appreciation Day … North Bay went 2-4-0 in the teams’ season series … The Battalion, 13-12-1 against divisional opponents, went 4-4-0 in March to end the regular season … In six games against Niagara, Brazeau had three goals and eight assists for 11 points … In six games against the IceDogs, Struthers had four goals and three assists for seven points … The Battalion went 1-for-4 on the power play. Niagara was 1-for-3 … North Bay was without Travis Mailhot, Kurtis Evans and Burghardt, who served the first game of a two-game suspension after drawing a match penalty for slew-footing in a 7-4 victory Friday night over the host Mississauga Steelheads … Among the missing for Niagara were Kirill Maksimov and Matthew Philip … Niagara coach Billy Burke watched from the media box, completing a two-game suspension for a verbal altercation at the end of a 4-2 home-ice win last Thursday night over Mississauga. Associate coach Jody Hull ran the bench … In six games against the Troops, Tomasino had three goals and eight assists for 11 points … Studnicka finished the schedule on a seven-game points streak in which he had six goals and nine assists for 15 points … The referees were Jason Goldenberg and Joe Monette.